Your business has to be profitable and if you don’t manage your expenses carefully, they may eat your profits until the business dies. It’s crucial that business owners manage their expenses carefully, reduce them where possible, and stay on top of what expenses are contributing to the success or the business, and which ones are making it sick. Every penny you save is a penny in profit. Sit down and work out all you expenses quarterly or once every other quarter, and see if you can find anywhere you are paying too much or where the expense isn’t directly affecting the success and profitability of your business, and cut those. 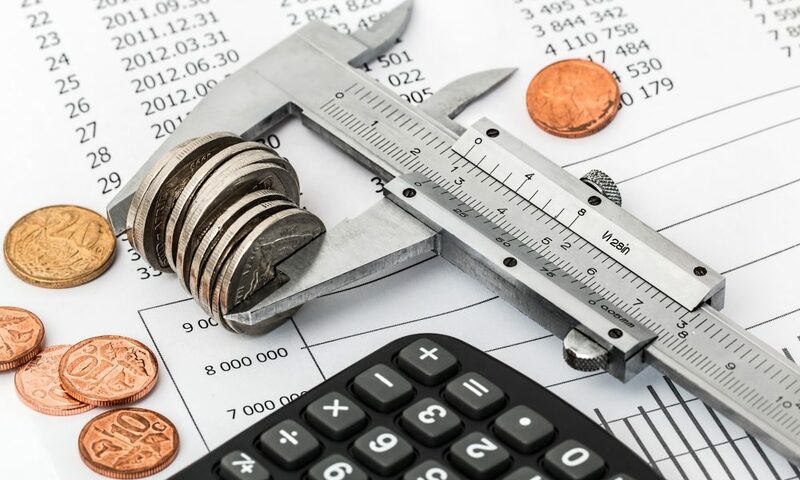 Expenses grow as the business does, so it’s important to consider these and forecast for them to ensure your profit margins are being maintained. Often, business owners level up a service that they believe will bring them more profit, but without the budget to do so, which ultimately leaves the business limping until it either manages to catch up with the expense or has to downgrade to save itself from falling even further behind. It’s important to leave some money in the expenses account each month to build up over time, so that when it is time to level up (because you simply can’t continue on the plan you are on or the equipment you have) there’s money in the bank to pay for it. Nearly all business expenses can be found cheaper or be haggled down to a better price. Do what you can, and don’t be afraid by the work of swapping to a different service if at the end of your contract they want to raise your prices by an amount you aren’t comfortable with. Another company will be happy to take your business at a reasonable price. Your employees’ salaries shouldn’t be somewhere you are trying to cut costs in any serious way: your employees are vital to your business and keeping them happy will increase the productivity and profitability of the business, so don’t shortchange them. That said, it’s extremely important not to over-hire. If you can’t afford another full-time employee now, try using contractors or part-time staff. Hire incrementally when you are struggling without them, not pre-emptively. If you are struggling with too many staff it will only lead to stress and pain on your part, the part of the employees who have to be let go, and the ones who remain but have to see it happen. In other words, don’t rent the office that makes you feel like a bigshot but stretches your budget. Don’t spend huge amounts of money on brand new office furniture when you could buy refurbished for half the price. Don’t offer everyone in the company a company vehicle though only the sales floor goes to meet with clients. In other words, don’t do things just because of how you think they will make you look. You don’t have to scrape the bottom of the barrel for everything, but just make smart decisions. If your company has done well one year and exceeded expectations, that’s the time to consider making a more lavish purchase. However, if you’re going through a period of hardship, try to put off new purchases and look for refurbished equipment, second-hand, or anywhere else you can act innovatively. Maybe the company can cut you a deal if you do something for them. Utilities are an unavoidable expense of business and life, but that doesn’t mean we can’t do our best to save a little money on these, too. Again, shop around for the best deal. Use green equipment if possible, have rules in the office for appliances, and put up signs to reinforce the rules. Have adequate insurance and security in place to protect your assets in the event that anything goes wrong. Though it’s unlikely that your business will suffer a theft or fire, you have to ward against these eventualities so that, should something awful happen, you know you can get your business back up and running as soon as possible. Though cutting down expenses is the right thing to do for your business’s health, you shouldn’t cut out the things you really need. For example, having a great accountant is going to save you time and money, so deciding that you’ll just muddle through it yourself isn’t worth it. Keep the accountant and any professional memberships you need. Ensure your advertising and marketing efforts are being rewarded, and then push for the best ROI possible. Be realistic but get the best ROI you can as it will all add up to more money in your pocket that, if you’re not paying attention, may slip through your fingers. If your sales team’s strategy involves courting prospects with dinners and entertainment, ensure that these expenses are truly necessary to make the sale. While wooing clients with expensive meals and good times, sometimes a sales call, video call, or meeting will do the job just as well. You also should be aware of your teams’ transport costs, both for travel expenses and any vehicles your company owns. You may be able to buy into electric vans or cars, or else buy second-hand to cut costs. If you want to work in a way where your profit comes first and then you have an allowance for your expenses from everything left over, the Profit First method by Mike Michalowicz is a great place to start. His book Profit First will guide you through this idea in more depth. How Will AI Affect HR Departments in the Future? If you would like to set up a free consultation call then drop us an email to info@totemcg.org, and include your contact details and one of the team will be in touch shortly.